Turns out a friend of mine - locally - has a "verified" haunted house. Woohoo !! Already began my early stages of inquiry and am getting ready to do a full investigation of the location. Been told that there are three "ghosts". A small child accidently killed by his mother, the mother, who was said to have died from a broken heart, and the third is that of a Comanche Native American who is said to be looking for a personal possesion he once had. Research has revealed that the Mother is still among the living -- although the claimant has said that he has heard his name being called by the woman. I asked him if he had known of her and what happened to her child "before" the hauntings started? He said that he indeed know of it prior to any Paranormal experiences. Hmm. The child did not pass away at the location as was claimed, but, passed away in the Hospital. From what has been said, it seems that the "images" seen by several mediums could be residual energy from the emotionally charged event. The Comanche seems to be interacting with the investigators so far -- am looking forward to doing my own investigation. Since it seems that he is responding to EVP sessions, do I have some questions for him ! Seen a Ghost once, wow! Beware that the ghosts are transfigured by demons, they like to act as dead people. May the blood of Christ covers your sin and protects you from evil. Please say the Lord's prayer before entering that house. Quite the hair raising experience when concepts become reality isn't it ? Would love to read about your experience if you wouldn't mind posting it. I agree with you regarding demons emulating the deceased to create a rift between the children of God and the Lord. That is exactly why the very first question asked was if my friend had known about the people and the events "before" he and his family had any paranormal experiences. Am also acutely aware of what demons are "tasked" to do and what they are capable of in accomplishing thier "task". Based on numerous investigations and experiences, do not believe that "all" hauntings or visitations are necessarily 'demonic'. The Comanche Native American, am suspicious of "him", as well. However, before charging into the situation, rebuking and banishing away, have some questions to be answered, first. This comes from other dynamics of the region where I live. There are other experiences that "may be" effects of the interplay of telluric currents, and other energies. That the Comanche is answering the questions asked by the strictly paranormal investigators in English, is not a positive indicator of what I'm looking for relative to my investigations of a different topic. However, am going to at least give the Comanche the benefit of the doubt, and ask my questions, and perform some other experiments, then decide who is who or what is what. Been through "these" kind of situations before, and will be called to deal with them again. For me, it was amazing- but, not a spectacular story. It was some years back and I had missed the last bus home- that meant about an 8 mile walk! Phew. I was about 17-18 at the time. It was about 1am in the morning, when I turned a corner in an old-ish part of Kent, UK. The housing there was not really ancient though, the properties there were built probably in the 1930's. I walked along a very dark road, badly lit- when I saw a classic Red English telephone box in the distance (I guess some 200 feet at this point). To the right of the phone box, I saw what looked very much like a white sort of glowing fog. At first, I thought it was some trick of the light emanating from the phone box. Upon "arrival" at the scene I saw an amazing sight- it was a person dressed in what appeared to be very old farm workers clothing. Perhaps from 1800-1850 at a very, very rough guess. Or maybe industrial clothing from mining or something. He wore a Moth beaten hat, braces- and had a an almost indescribable look upon his face. He looked at me at first in shock- then, he quickly appeared to customise himself with seeing me. This was as if, (and this surprised me most) he seemed shocked to see me, but seemed as though he had experienced this shock before- and knew how to deal with it!? He then walked towards me for a few steps, I remember back tracking by the same amount, I was quite scared. He then looked me straight in the eye, turned away, then he walked off. There was no attempt at speaking at all. His facial expression was not one of threat, just quite benningn and matter of fact. With every step he took when walking away he faded, and the white fog/glow (it was neither- an almost sort of a white fluffy, defined but not really a neon glow, but none of those- it seemed very low key?) that surrounded him faded too. Within 20 seconds and maybe 30-40 paces) he was gone! I still remember it so vividly, I wrote the experience down, and kept the notes too. I have never seen anything else Ghost like to this day, and I am in my 50's now! Interesting. As written, your experience is coming across that you don't believe the event was entirely an encounter with a "ghost" ? All I can say is, it was a coherent human being from a time gone by. It was no tortured soul or anything like that. He was almost as scared of me, as I was of him. I got the impression he was trying to communicate- but couldn't, for some unkown reason to me. I shall probably never know the answer. But, it was no dream, no illusion- it definitely happened. It did serve the purpose of opening my mind up somewhat though. so goo came of it. Would say that the event was/is inspiration to try and find an answer? Being a clergyman, have experienced events that are "very" inspirational for minds that want to know. Discuss angels and demons on a consistent basis - however - reading and talking about them - there still "was" a margin of doubt. The very first exorcism was approached in the same way...with a margin of skepticism and doubt. It actually was quite a shock when a concept became "more than" just a concept. The dynamics of such is what interests me, and how it connects with time. Direct contact with a demon, although difficult to describe to those who haven't encountered the same, had a feeling of timelessness surrounding it. Afterwards, been giving that quite a bit of thought. Same with ghosts..really would like to know what is it they see ? I.E., a ghost of a woman in an abandoned railway station, waiting for her husband to return from war...seems to me that she doesn't see the railway station as we (now) see it. With the Comanche Native American at my friends house..."where" and "when" does he think he is ? That is if he truly is who he claims to be on tape. When might be a difficult question to answer, since the Native Americans of his era had a different ..um... perspective? relative to any particular moment in time. Drives archeaologists crazy; asking "when" something happened in the past regarding Native American historical events, their answers are vague. "Many moons ago" usually isn't the answer being sought to "when did that happen" related questions. After the initial shock of the man you saw, sure if you could do it over, would have specific questions you would like to ask of him - knowing what you do now. With the ghost hunter shows, get aggravated with their questions, always the same questions that never really resolve specific inquiries. For example, " How did you die? " Get the feeling that some ghosts dont know they are dead, and asking them that question seems as though would be rather traumatic or not illicit positive responses to further questioning. That is why this haunted house is exciting to me. Can ask the questions "I" want to ask. And being interested in the telluric currents and such, will also be able to take measurements to try and determine if there is a specific electro-signature or signatures, and make comparisons, &c.
To find out "why" the ghost is there, not only from his perspective, but also from a ..um..natural (?) perspective, as well. The course of experiments that can be applied are numerous. And since the Native American seems to be consistent and has been responding to EVP sessions, provides an exellent foundation. Tried to do some experimentation in cemetaries...but, those are difficult as there is a limited power source for the appropriate equipment. Not so with the house of my friend..can bring it "all". Not to mention, dont need to lug around a cooler filled with beverages, can just go into the kitchen and get a cold one from the fridge whenever we want one. It has made me think deeply very much like yourself- about time, and I guess that is why we like to post here. Perhaps, these/those questions should be asked of the Native Indian? The whole thing tends to get more confusing the deeper you go I guess. For example: Do I believe in religion? To a small degree I suppose, but my own logic denies it can be correct. Same applies to the big bang theory for me too. The elements needed to spark the explosion had to come from somewhere- how were they formed? Is everything down to chance, or is there a more detailed explanation? Does there have to be a beginning? Does there have to be an end? I know with each year that passes, my belief that we are not seeing the whole picture grows much stronger in my mind. I am of the belief that there are many, many dimensions which we can only slightly interact with at times, through pure faults- maybe only some are controllable, and then to a small degree. All just my own philosophy, no evidence to back it up- but, I can feel I am on the right track deep within! We shall certainly never know it all. If we did, could we cope with it? Nice post by the way Kerr. Yup. And very difficult to explain the experiences and the motivation to anyone who hasn't had the same. Have the equipment being shipped in for my experiments, and definitely have a list of questions for the Comanche. Would like to know how it is he can communicate in English. Maybe floating around for a few hundred years or so, provides the ghosts the opportunity to learn the language of the here and now'ers ? Also, would like to know where he is when he isn't interacting with the here and now. Or is he always around, even when not interacting ? Would be interesting to pose time reference question's to him, to see how he is measuring the passage of time from his perspective. Does he have a consistent memory of moments, or are there gaps ? Will be measuring as much as I can, environmentally ( weather, electro/magnetic, solar activity, &c.) to try and determine what the optimum conditions might be for a ghost to be able to interact with the here and now. Would say that believing in religion and believing in intelligent design would be two different issues. Personally, don't believe in "religion" per se, however, more than simply believe that there is indeed a God. Regarding His creation, might not be a matter of creation, then it is a matter of becoming aware of Himself existing. I would gander to proclaim that the base components that we are made of, or perhaps the energy that holds us together, is eternal, yet, would question if there is any kind of awareness. However, any being that became aware of himself and had billions of years to evolve - who knows to what extent he would evolve ? It has been suggested that the components we are made of, do have memories imprinted on them, whether that is true or not, have no idea. Interesting to note that they individually seem to know what to do to create whatever it is they need to be. Whether it be a heart, bone or brain, &c., somehow, all the millions (billions ?) of parts work together to create the whole. And that is reflected from a macro to a micro scale. Big or small, the dynamics seem to be the same. I also wouldn't say that the whole thing becomes more confusing the deeper you go. Actually, becomes simpler, however, more difficult to explain. Those that know the most say the least - kind of thing. Not that it isn't (or hasn't been ) tried, however, the passing along of knowledge seems to be wrought with problems - can look to Socrates about this issue. Think Socrates would agree that trying to pass along too much knowledge can be frustrating and in his case, lethal. I believe there are multiple dimensions. This concept goes along with your questions relative to a beginning and an end. With frequencies and spectrum's of, we have yet to find any kind of beginning or an end, discovering more and more as time progresses. And if they are part of a closed loop, then in essence, there would not be a beginning nor an end. And to believe that we humans here on Earth are at the top of the intelligent being scale seems rather egotistical. Surely there are other beings that exist, just perhaps in a way we don't quite fully conceive of yet, and as such, call them angels, demons, gods, &c. Honestly, any being that has billions of years to evolve, would be god-like if there was any kind of ascension involved with their evolution process. Some of the multiple dimensions might be so close together, and as something we live within on a daily basis, take them for granted, and don't see them as separate dimensions. Could Earth, Water, Air, and Fire be considered as different dimensions of existence ? That really is the point of the experiments with the responsive "being", the Comanche. Whatever he is, if and when he does show up, want to see if his essence is measurable. Since it is constantly being mentioned that these "ghostly" beings need energy to manifest - will be bring a Tesla Coil with me - so should be able to solve "that" problem. So, Mr. Comanche ghost, no excuses for not manifesting when the Tesla Coil is up and running. Also plan on using an adaptation of Kirlian photography to see if I can capture the being by camera. Have to give that some thought though...humidity makes a difference, however, too much humidity, me, electronic equipment, and a Tesla Coil, eh, could be a shocking experience all around. To know it all ? - eeks - guess that would put National Enquirer out of business, and cant have that happen, can we?. Nice post AGAIN! Thanks Kerr! Just got back fro Europe- so will reply soon..Man, totally I am exhausted! Just one thing... tread carefully in your quest! Use test gear that is very sensitive to start with- like an RF spectrum analyser (with diode protection) and plan it EXTREMELY well. Tesla coils and a spectrum analyser will NOT get on too well BTW! Use Infra Red detectors, old Microwave alarm detectors, Ultrasonic detectors......even Carbon Monoxide Gas detectors- ANY detector you can get! You may only have one chance? Also, the Choreography is going to be so important! So, make sure that the dancing gal's (crew) know their routine inside out! 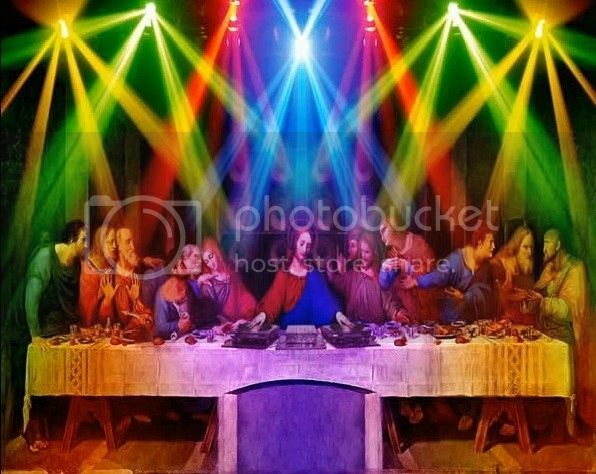 Don't believe it will be a one time experience. The advantage being that it is at someone's home of whom I've known for awhile, and is a good friend. His curiosity is as intense as mine - however - am mindful of the fact that it is his home. Nothing will be done without his permission. The details of any experiment will be discussed prior to being done. 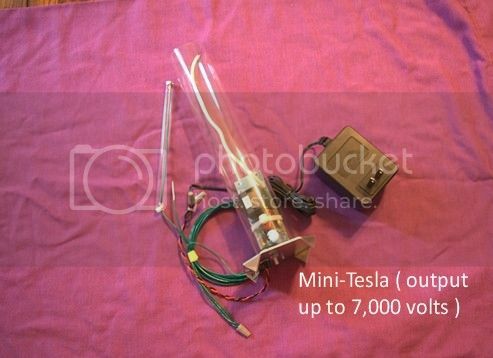 The Tesla Coil actually is low-powered unit - max. output is 7,000 volts. Configuration is flexible - has removable/exchangable parts. Been giving it some thought as to what type of configuration to adapt it to operate. Hoping the energy will be somewhat contained, and not be emitted into the environment willy-nilly. 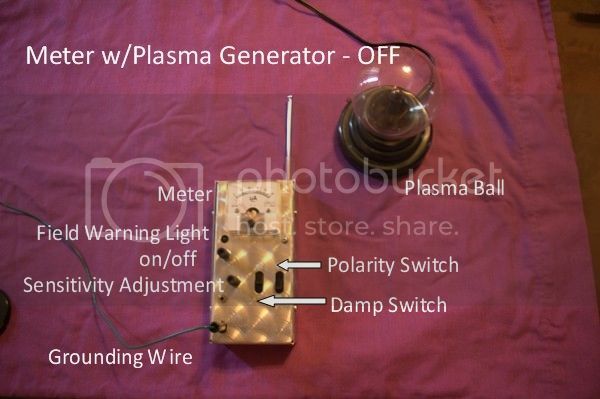 Also have an ion field generator and a plasma generator. So...think I have the energy emission issues covered, thus any energy the 'being' requires, hoping I have what he needs to manifest. Have the K2, digital and analog tape recorders, grid pattern laser, analysis software, and UV & IR attachments for my camera. 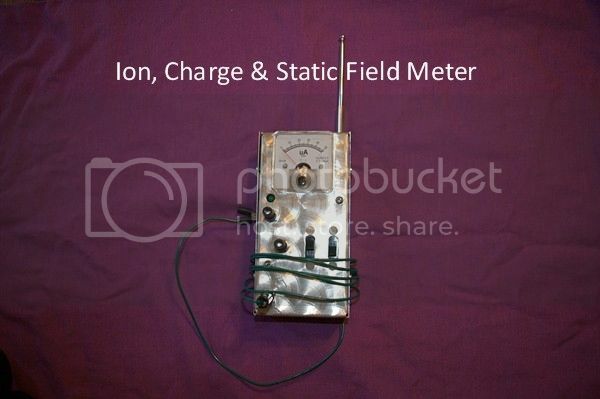 Still am waiting on a frequency detector with strength - meter. Should work nicely side-by-side with the K2. The other 'detectors' actually are on-line real time charts provided by the USGS, NOAA and a Ham Radio Operators solar activity site. 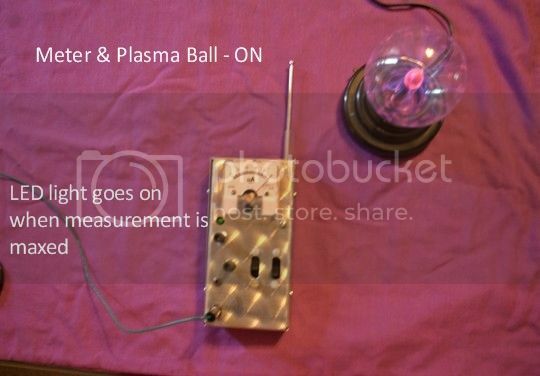 Would "love" to be able to install localized telluric current sensors around the property, however, dont have the time to assemble that type of equipment -yet. I don't trust the white noise generator. That random signals can be received seems likely, and wouldn't really be paranormal, just a natural phenomenon. Qualifying questions will be asked to determine if there actually is an intelligent interaction, or are simply random "catches". The main goal of my research will be to be to try and determine what frequencies the 'being' is operating within, manifested 'visible' state or to determine if we are able to detect the 'being' within a spectral range without any visible manifestation. IF he exists, and IF the Native American is who he claims to be, he has to be "somewhere", even when he isn't manifesting within the human spectrum of sensations. Secondary goal is to see if this "ghost" is capable of applying any type of time references within his responses. Sorry, no dancing gals on this one. Not sure when we will be conducting any research at the location. A lot of preparation and thought is going into this, and still have mundane responsibilities that have to be maintained. The major concern I have is that the 'being' will know that we (the crew) are ordained clergy who have performed exorcisms - and will perceive "us" to be a threat. Standard practice to go with two other priests, in case anyone becomes incapacitated. The arrival of three clergymen, now that could become a problem. Have an idea that even without the normal priest attire (note: everything else will be on-hand, if needed), it will be known "who we are", and have had the distinct feeling for awhile, whomever this "ghost" is, knows we're coming. I don't trust the white noise generator. Sorry, Kerr- I don't understand why you would need a white noise generator? If you mean the spectrum analyser- that is THE most valuable and responsive piece of Radio Frequency measurement kit that exists (or probably ever will) You can make it a sensitive as you wish, responding down to microvolts, or as "deaf" as you wish too. If it were me, I would have two there. One only measuring Very low frequencies up to say 1000 hz, and another spanning all the way up to 18-20 gHz. You could simply record the finding by aiming a video camera at the screens, and look at what happens. Of course, if you had someone there who knows how to drive one properly, then this would be a massive and more productive bonus. They are not the sort of kit you can get the best out of without many years experience. HP wrote excellent user sheets for their's way back. The 141T/8552 units are still the best units overall- they are truly lovely bits of kit. Something they don't let anyone see in the ghost hunter shows, is that they are using a white-noise generator. The white-noise generator is broadcasting a sound signal that contains "all" of the audible frequencies. It is said that it is used to 'mask' other sounds within the environment. Also is said that such a device attracts 'ghosts' and promotes increased activity. From what I understand, the other team of investigator(s) has already used one in their investigations of the same location. Seems to me, that having a white-noise generator "could-be" creating more problem's than it is solving. Don't know, will see how it goes, either way. I could be wrong, it just seems that having a broadcasting device in the research environment is a set-up for results that would be coincidence, and not paranormal. 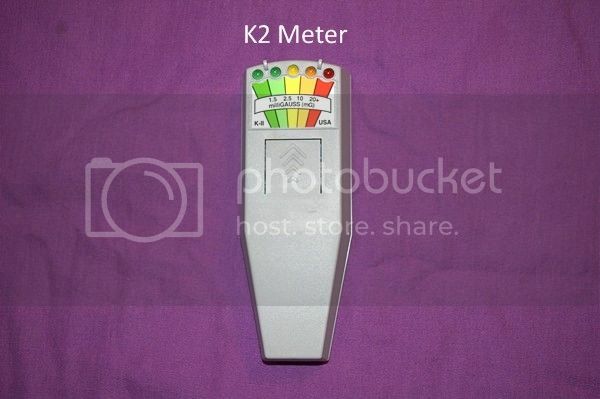 The K2, consistently see investigators ask questions e.g., " Are you male ?" Then the meter lights up, the investigators display excitement, and I wait for the question that never seems to occur, "Are you female ?" 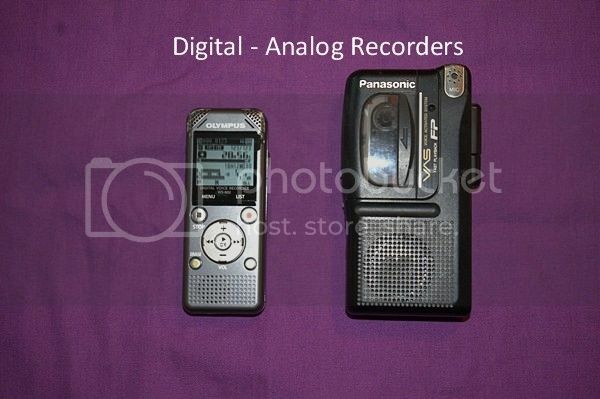 With the audio recorders at work, catching any "voices" that are not heard by the people, I am skeptical, since there IS a device broadcasting audio signals across the full audio spectrum- that it may pick-up and carry random 'sounds' - seems more likely to me. The other team also had a medium with them. She was the one that proclaimed that there is a woman weeping over the body of a small child, and was also the one that proclaimed there is a third 'ghost', the Comanche. Upon her proclaimations, the other team employed their equipment, and conducted a 'normal' investigation, as seen on any ghost hunter type shows. That she committed suicide ( NOT true - she is still alive and still resides in the region ). Which bring up issues that are delicate in nature. And any good researcher would be able to gather such information of that event "prior to" visiting the location. However, obviously, their source wasn't a very good one, since most of what they reported was wrong ! It's the Comanche that interests me, since he, according to my friend and the other investigators, has been responsive to specific questions, has been interacting with and has been seen by my friend, his family, and others that have no vested interest. There are quite a few pieces of equipment I would love to be able to use that are too expensive. As much as I might be interested in conducting more in-depth experiments, at this stage, high dollar pieces of equipment - are wee bit too much. Does create limitations, however, the research being conducted is somewhat basic - for now. Even so - should be sufficient to start the research. I will be posting the actitivites of the investigation(s) here - no conclusions - will leave that up to those interested in and are following along with the investigation(s). Seems to me, that having a white-noise generator "could-be" creating more problem's than it is solving. Don't know, will see how it goes, either way. I must say, I with you- sounds more like a fad that has been promulgated than something that will improve your research and/or chances. I know they use White (flat response, wideband) noise often in hearing tests as some say it tends to concentrate the mind on listening for the speech or tone that gradually fades away in 6dB steps (the minimum change the human ear can detect) I would guess. Personally, I believe it just asks as a masking agent- like a fog that a visual point of veiwing fades or disappears in to- nothing more. I would avoid using it for most of the time you are there anyway, as it may mask what you are searching for. I must admit, I have never watched a Ghost Hunter show- so, the methods used are all new to me. I must add one thing though.... a friend of mine has a resident Ghost in his house. He can never see it/her directly, only via reflections via windows, mirrors, or PC screens. Perhaps a few mirrors placed strategically may help. Anyway Kerr, as I said Good luck with this, it is most fascinating. I agree with you, and am considering doing this investigation in multiple phases. Have additional equipment being shipped in. Got me to thinking, sure is a lot of "stuff". It occurs to me, and this will be further explained in the following post, that too much equipment might be intimidating. If I walked around my home, and saw a large assortment of electronic surveillance equipment, I would feel uncomfortable. I will be posting photographs of all the equipment...with specifications. Just waiting for all of the equipment to get here. I am curious if the Comanche 'ghost' even see's his environment the same as we see our's - today ? It has been reported by the previous investigation team that the Comanche said that he is looking for his shield. This has me contemplating about 'time' from the Comanche's perspective. He has been looking for a long time, in linear time, and got me to wondering "why" anyone would spend so much time looking? Seems 'anyone' would give up after the first hundred years, unless, he is unaware that it has been that long of a time period. Interesting account about the experiences of your friend. Wonder if the manner in which the light is being reflected is enabling the ghost to be seen via a reflective surface. Would be interesting to conduct an investigation there. If there is additonal experiences relative to that site - would love to read about them. In the 1740's, the Comanche Band, known as the Penateka's (honey eaters) arrived from the north into this region of the Texas Hill Country. They stayed until moving to the Indian Territory around 1858. In February, 1844, near the location of the investigation site , a battle between the Texas Ranger's and the Penateka Comanche's took place. This particular group of Texas Rangers were armed for the first time with the Paterson five-shooter revolver. The Texas Rangers trailed a group of raiding Comanche's for three weeks. After sighting the Comanche War Party, the next day, the Comanche's engaged the Texas Rangers in battle. The Comanche War Chief Yellow Wolf used a standard Comanche battle strategy, attacking with groups of three mounted warriors as bait. The first wave of Comanche warriors causing the Rangers to fire, and the secondary waves of Comanche warriors would then attack the Rangers who they thought would be reloading weapons. However, the Rangers, armed with the new guns, did not have to reload. The surprised Comanche's were shot off their horses, cut down by a hailstorm of bullets being fired from the Rangers Patterson revolvers. The Comanche charge was broken and the remaining warriors retreated back to the Comanche line. The Rangers mounted their horses and counterattacked. The Rangers pushed through the Comanche line, shooting warriors off thier horses and also killed Chief Yellow Wolf. The Texas Rangers had been out-numbered, and would imagine the Comanche warriors were very confident of a win. If the Comanche 'ghost' was one of the warriors that had been with Chief Yellow Wolf, can understand why he would be un-aware of what happened to him. And if he is unaware of what happened - can understand why he would be wary (maybe even dismissive) of any interactions that take place in the course of an investigation. All I know is, is that the lady Ghost used to live in the house- she is extremely friendly, but inquisitive. It is still her house to her! The story of her is well known of to previous house owners. I have no idea if the previous occupants could see her directly? My friend can NEVER ever see her unless via a reflective surface? She loves turning the lights on and off apparently. Interesting story about the Penateka's! I wonder why there seem to be over the decades of so many American Indian Ghost's/Guides etc.? I would suppose it may be because they were closer to nature than we all are now, and accordingly their spirit is so much stronger. Your assumption that he may not know of time, or in fact his own death reminds me very much of an old episode of the Twilight Zone where a depressed Jazz musician commits suicide, then discovers he is dead- but, is given a second chance by the Archangel Gabriel- the episode featured Jack "Quincy" Klugman in it. Damn good it was too. The element that is of utmost interest (to me- anyway) in all of this, is the fact that the Native Americans perceived 'things' in a non-linear manner. Everything they did or engaged within was always based on cycles. Taking into consideration that there is evidence that dates back 15,000 years - is indicative that they've had quite a bit of time to give the dynamics of cycles a lot of thought. Exactly how much they discovered while contemplating cycles, remains to be re-discovered. Diagram of the Big Horn Medicine Wheel and corresponding alignments. 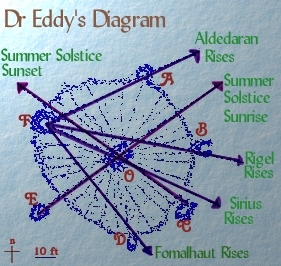 Important to know when certain celestial alignments would take place, to plan for a particular cycle on Earth. Whether stationary or nomadic, both groups would need to be able to monitor the cycles. The Comanche's were a nomadic culture. However, tracking cycles would still be important. Without the use of a permanent 'wheel', how would the nomadic Comanche bands still be able to track the celestial movements to know when specific seasonal cycles were going to take place ? Looking at the diagram of the Big Horn Medicine Wheel actually provides a clue to a possible answer. Perhaps they learned it all off by heart from a young age from a basic star chart (relative to seasons which were- and are still of utmost importance to all of us) and remembered it. After all, their entire survival/existence relied upon knowing roughly what to expect next. This is nothing new, the Mesopotamian's were were the original masters of Astronomy it seems. I recall reading a book on Astronomy written by the great Fred Hoyle, and he totally marveled at their ancient and vast knowledge. Funny, how you too are drawn to Astronomy too Kerr!!! I spend many hours in the winter months with my home made 8 inch Newtonian Reflector and my 4 inch Refractor viewing the heavens. I find there is nothing more to humble a person to look at some of the deep space objects like the Orion Nebula to put our position in the whole scheme of things in to perspective! I saw a show on Ch 4 TV here the other day, where they showed the first actual photo taken in Infra Red of the object at the very centre of our Galaxy- a massive black hole. It was most strange to see this tiny, almost insignificant dot in the middle of a colour enhanced picture- that showed the ball of energy we here are held in place by! The seasons will be about right for us all soon! Nomadic bands took the 'wheel' with em. Yes, agree that some of this is nothing new - however - the depth of understanding what 'they' understood - might be new. Shouldn't be too much of a surprise being interested in Astronomy. Researching the Native American cultures, am naturally drawn to Astronomy. WoW..home made deep-sky equipment ? Very impressive, daver ! Been playing around with deep-sky photography, however, my telescope is a "cheap-o" brand and won't properly accept my camera. Aperture opening problems prevent high-resolution images from being captured by the camera. "..nothing more to humble a person to look at some of the deep space objects like the Orion Nebula to put our position in the whole scheme of things in to perspective! " Thank-you for the link, will have to spend some time reading through the material regarding the Mesopotamian's and their Astronomy. Many now, still marvel at the Mayan's accomplishments with Astronomy. Never occured to me that the Mayans also may have been using two sets of time. The Comanche's were originally part of the Shoshone culture - considered part of the Uto-Aztecan Family. Although the Big Horn Medicine Wheel is attributted to the Lakota culture, the Shoshone culture was not all that far away in what is now Wyoming. Because of these factors, I am excited to see what happens with the Comanche 'ghost' investigation. Really want to hear his responses to questions relative to time. The 'ghost' investigation isn't really independent - however - is part of on-going research that started after participating in an archaeological project in the Mojave Desert in the late 1970's and early 1980's. Articles and books are still available through the San Bernardino County Museum in California written by us about our project and findings. The lead Archaeologist was a man named, Wilson G.Turner. The goal of that project was to locate and record as many petroglyphs as possible - before the inscriptions were lost foerver due to the environment and vandals. At the time, we were instructed NOT to try and figure out what the inscriptions meant. To do so, might impede accurate recording of the inscriptions as they were transferred from film to drawings. However, I can't help but wonder what the inscriptions DO mean ? In asking that question, have opened a can of worms. In the course this particular Comanche 'ghost' investigation, if questions regarding time and ghosts are addressed - bonus ! I see- a portable Stonehenge then! Ah, building a Newtonian reflector isn't so difficult. Grinding the mirror is a painstaking job - I had that done externally, it would take me a year, and then it wouldn't be as good as having one made by a pro. It is a simple skeleton frame system, with a simple dobsonian portable mount, or a fixed equatorial mount in my garden. The bought in 4 inch refractor I only bought last winter. Made by Celestron, it is nearly as good as the Reflector- and only cost about 250 UK pounds! It is a lovely scope! Costco knock them out very cheaply. There only weakness is the tripod isn't big enough, and a little flimsy. No problem if you ditch it, and use an old Army tripod though. I am learning how to take Astro shots too! all new to me. The CCD camera's are really good for planetary stuff though. building a Newtonian reflector isn't so difficult. It is if one has never done it, nor has the proper equipment to make one. My telescope is a Meade TeleStar NGC-60. Not really sure what the refractor size is; looked at the spec sheet and all it says is that it has a "Achromatic Refractor". Came with 2 eye-pieces, 25 mm and a 9 mm. The tripod seems to be sturdy enough. There is a Photography Club in town, just haven't taken the time to attend any meetings. From what I understand, there are a few members that are into deep-sky photography. My camera, is a Pentax *istDL, and can attach the 300x lens on it. The remote switch helps a lot. Prevents any movement of the camera as the images are being taken. It is an older camera with only 6 mega's. Don't know if you saw the photograph of Venus I posted upstairs in Valeri's Thread. That image was taken spur-of the moment. Awhile back, I was able to photograph the galaxy NGC-600, although the resolution is poor, was still a pleasant surprise to see it. Thank-you for the links, will definitely add those to my favorites list to read through. Not sure what the LM is where I live - I do live out in the countryside, and light pollution is "not" a problem. Humidity is, coming off the Gulf, puts a lot of moisture in the atmosphere. Expecting the remainder of the equipment for the temporanormal investigation today ! Getting excited about that - found an old school house with cemetery to try out some of the equipment. In thinking about the 'haunting', realised that even if there is a ghost of a Comanche, still doesn't provide any information relative to 'time', other than the possibility that the Comanche "believes" that he is still amongst the living. This still would mean that he is progressing in linear time, no matter what 'he' believes. Seems that questions should be asked, assuming that the Comanche is responsive during EVP sessions, regarding the future to determine if the ghost is outside of our linear time. Any suggested questions that anyone would like me to ask - taking into consideration how he perceives his existence ? Most of the time ghosts are in fact the lingering psychic emissions of the actual person which is no longer there. So in fact the ghost is a lingering false personality which needs energy to continue. This energy is derived from contact with the living and most of the time emotional outputs from such people. In this case, the Comanche might not be aware of the passage of time because he is a very intelligent recording of what his persona really was. Most possibly it still thinks time hasn't elapsed at all. One interesting things would be to measure up its energy state now and every time you register it. Just to see how the energy readings are holding up. Still working on the what we talked about. Although I feel that there are different types of hauntings, this particular case, would tend to agree with you. Nothing has really come out of any of the previous investigations that someone didn't already have in mind. The responses simply could be reflections of perceptions from the people 'it' is using for energy. The name "Red Feather" could potentially have an entirely different context, and would change everything. Something that has been researched and needs to be taken into consideration. My main interest in this investigation are the energy dynamics, not necessarily of and about the ghost itself. Although, if it is responsive, any interactions will be interesting as far as what is said. I would like to see if "it" can answer questions pertaining to different periods of time- then, now and perhaps in the future. Giving careful consideration to what to ask - any suggestions or questions anyone wants me to ask this ghost - please post them in the thread or in a PM before the investigation begins. He ,a Comanche, interested and participating in this investigation - should really make things exciting. Need to practice a bit more with the full spectrum camera. Plan on practicing with the camera at the old school house and cemetery. Need to contact the local historical society to get permission to be on the property at night. Will be doing that on Monday. Had quite a bit of fun with some of the equipment during a thunderstorm the other night. Was able to detect and monitor the electrical and magnetic pulses of the lightening. Please ask him one (or more preferably) question(s) relating to Love. Is he in love?, was he in love?- does he still feel love? I know this may at first come across as daft- but, it isn't! It may be the simple key- and the answer to all of your questions. I feel this is very important in determining lots of things. WoW, good questions ! Dont think they are daft at all. Added those to the list, and will let you know when they will be asked, and what the responses are to those questions. Seems that the investigation will take place towards the end of this month. Still have some details to work out. I would definitely would love to be there....I love a good haunting. Sometimes spirits get lost, maybe he is trying to find his way or trying to get somewhere. Also, he might be trying to find a something he buried along time ago. Or as Daver points out, maybe he is looking for his wife, lover or some other family member. Could you please ask him if he feels afraid or fear, or maybe something is stalking him. Let us know and may the Light of the Almighty surrounds you! Also, you might declare this ancient magical words, remember knowing that the Almighty Light of the Everlasting IHVH is with you. Sumedarion-a magical shroud of light it protects against evil. Aegis Deux-a barrier against evil spirits and lower beings. Vorago Scuticas-a protection against spirit of the dead and ghosts. Thank-you for the blessings and the questions. Also good questions, Transient001. Added those to the list as well. He said what he is looking for --- his shield (made of leather and bone). 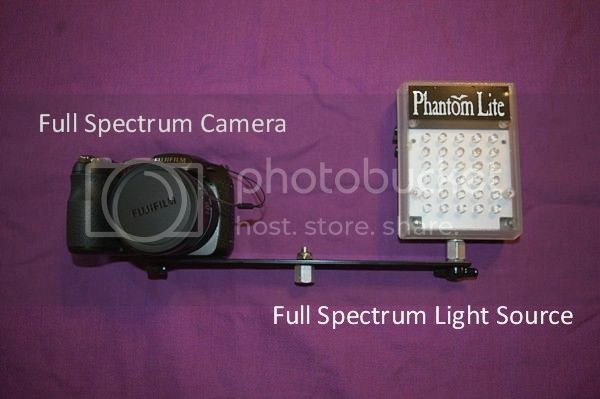 Full Spectrum Camera with attached full spectrum light. 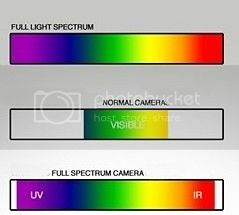 Chart shows range of camera. Adjustable to detect weak fields (uA) to strong fields. Depending on settings. The Digital Recorder has a USB connector for computer analysis program used for reviewing audio. 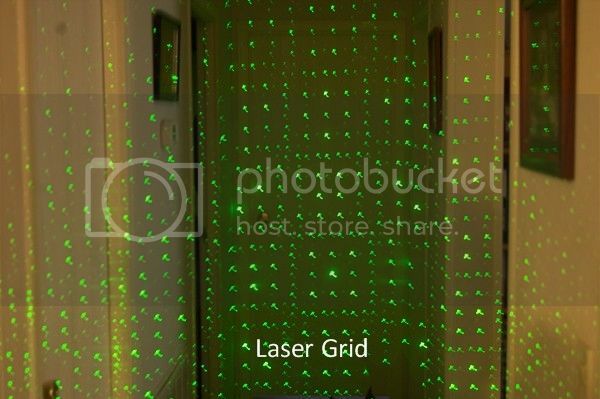 Laser Grid pattern for any detecting any anomalies in the field of view. Nice one Kerr! Again, please try to get someone with an RF spectrum Analyser along (a good Radio Ham/Pro) who knows how to drive the damn thing- you may well be amazed. 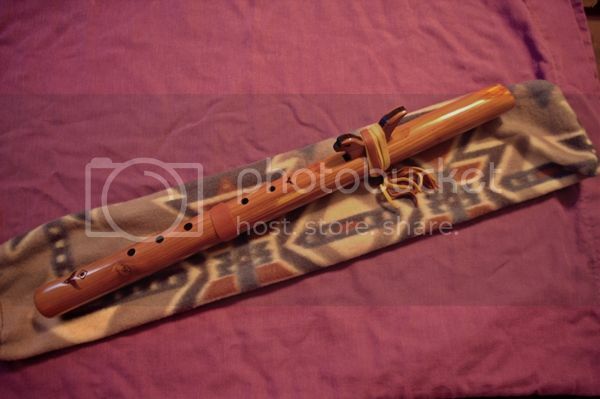 Mind you, with all the stuff you will be gereating yopurself- there could be big problems with a sensitive instrument. 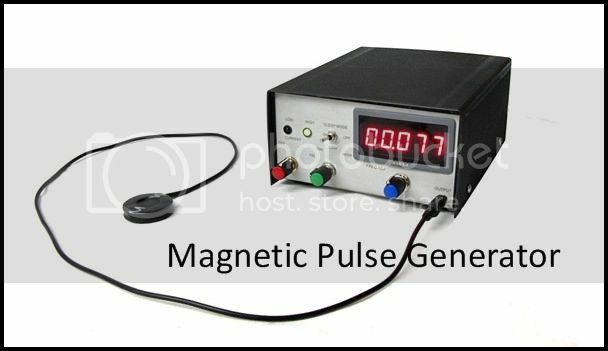 Damn, I have an old HP unit here, def a pulse generator- in the UK though! It may be too fancy for what you need though. One of those things, Dave, the more equipment obtained, the more additional equipment is wanted. There is a Ham Radio operator a few miles away - considered a neighbor here - will drop by and talk with the man. Well, never know, if the Comanche stays around, anytime you're in the region - just give me a shout. Go for it! He will need a dry run though, to make sure some of this gear you are using won't damge his Spectrum Analyser- they are THE pride and joy of any RF engineer! Will be doing the investigation in multiple phases. That way, will reduce the chances of overpowering as per whatever experiments are being conducted at the time. You are truly equipped!!!! I am amazed, although I shouldn't old friend, you are really something. I hope your experiment renders some very good information about the Comanche. Yes sir, ready to go. Figure on trying the equipment out at another site - The Turtle Creek School and Cemetery - first. Did speak to the County historical site Commissioner, and received "verbal" permission to conduct research on 'any' of the Kerr County historical sites. Need to get a signed permission slip, as it were. Figure might be difficult to explain my presence on a historical site at 2 A.M., if the Sheriff (or worse : concerned citizens) show up. "The Commissioner said so..." might not work so well unless have something tangible to show them. 'Round these parts people have a habit of shooting first, and asking questions later. The School house is being renovated- perfect timing if the work on the structure stirs up paranormal activity. How is the investigation going? ?